Charcoal Copper Waves Wallpaper 13704-20. Paste the wall - full hanging instructions on the back of each wallpaper label. Slightly textured finish. Roll size: 10m x 0.53m. An amazing paste the wall wallpaper from P S, a jungle inspired animal print wallpaper that has marvellous patterns and designs. A bold multi coloured colourway is depicted beautifully upon a black background. Amazing wooden crate styled wallpaper. Character and detail play a huge role in making this paper so attractive. Presented in a rustic colour scheme of different shades of brown and beige. Roll size: 10.05m x 0.53m Pattern repeat: free match Colours can vary slightly from the advertised photos, if you require a sample please contact us directly.. 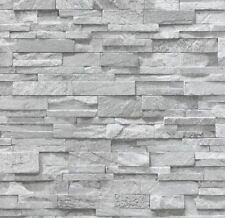 The P&S Slate Beige Stone Wallpaper is an easy way to add a dash of colour to your walls. Features a grey stone colour for an authentic look and fashionable finish. Colour: Grey. Pattern Repeat: 53/ 26.5 cm Offset Match. The P&S Children's Camouflage Wallpaper is an easy way to add a dash of colour to your walls. Features a traditional camouflage pattern in tones of khaki, beige and brown for fashionable finish. How To Apply: Paste The Paper. The P&S International Slate Wallpaper in Charcoal is the perfect way to combine modern styling with a rustic touch. Beauty Products. 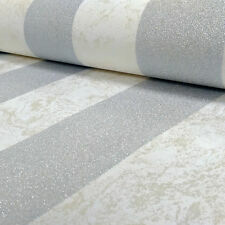 Lightly embossed, it can be used to soften a room and works especially well as a feature wall. The P&S Brick Grey Stone Wallpaper is an easy way to add a dash of colour to your walls. Features a grey stone colour for an authentic look and fashionable finish. Pattern Repeat: 79.5/ 39.75 cm Offset Match. This Textured Vinyl Stripe Wallpaper features a stripe pattern in a burgundy colour set upon a cream background. The luxurious, heavy weight wallpaper is a paste the wall paper, making it incredibly easy to apply and work with. Lightly embossed, it can be used to soften a room and works especially well as a feature wall. The P&S International Slate Wallpaper in light grey is the perfect way to combine modern styling with a rustic touch. The P S International Tropical Exotic Birds Wallpaper is an easy way to add a dash of colour to your walls. Features birds sitting on tree branches of rich green foliage against a range of background colours. The P&S Multi-coloured Flamingo Wallpaper is an easy way to add a dash of colour to your walls. Inspired by nature for fashionable finish. A HUGE RANGE OF QUALITY PRODUCTS AT UNBEATABLE VALUE. Xmas Stuff. Easy to apply, this high quality heavyweight wallpaper would look great as a feature wall or equally good when used to decorate a whole room. Paste the wall wallpaper. Luxurious heavyweight wallpaper. Charcoal and black 3d effect brick wallpaper, a spectacular new design from P S that looks as realistic as real-life stone! Classification: Washable - Peelable - Good lightfastness - Textured finish. This stunning Textured Fossil Effect wallpaper features a brown paper with a lightly textured fossil-like pattern embedded into it, finished with a beautiful pearlescent sheen that catches and reflects the light for a multi-tonal effect. Beige Textured Brick Wallpaper Stone Effect Realistic Shading Feature Wall. The P&S Slate Beige Stone Wallpaper is an easy way to add a dash of colour to your walls. Features a beige stone colour for an authentic look and fashionable finish. Pattern Repeat: 53/ 26.5 cm Offset Match. The P S Stone Effect Wallpaper is an easy way to add a dash of colour to your walls. Beauty Products. Pattern Repeat: 53/26.5 cm Offset Match. Colour: Beige. Apply: Paste The Paper. Roll Size: 10m x 0.53m Approx.5.32msq (57.7sq.ft). This Textured Vinyl Damask Wallpaper features an embossed damask pattern in a soft gold colour set upon a beige background. The luxurious, heavy weight wallpaper is a paste the wall paper, making it incredibly easy to apply and work with. From P S comes the new Novara collection 1970's retro design feature wallpaper Orange Grey Cream coloured design on a quality textured white background Roll Size: 10.05m x 0.53m Pattern Repeat:- 32cm Straight Match Colours can vary slightly to the advertised image please contact us directly for a sample. Printed on a Non Woven Backed, Textured, Solid Vinyl Wallpaper. or want to check the colours, then just ask for a free sample. Orange, green and white retro wallpaper. How to apply: Paste the paper. Roll size: 10.05m x 0.53m. 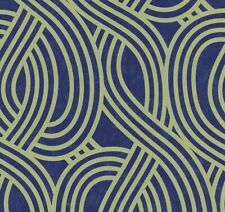 Pattern repeat: Straight match. Classification: Washable - Peelable - Good colour fastness - Raised embossed texture - Vinyl coated material.